What Makes Online Nutrition Coaching With Nicole Different? What makes Nutrition with Nicole different from other programs? Nutrition with Nicole: A deep dive into your unique goals, lifestyle, likes and dislikes, followed by a customized blueprint to your sustainable fat loss and food freedom goals. No two blueprints are created the same! This is designed with you in mind so you are ensured to feel confident about sustaining your results for a lifetime. Other Programs: One-size-fits-all cookie cutter approach with no concern for individuality. Nutrition with Nicole: A flexible approach to fat loss where no foods are off limits (this is what we call Food Freedom). I teach you how to reach your goals while enjoying the foods you love and enjoy, encouraging results that last. Other Programs: Rules and restriction, “Eat This, Not That” prescriptive programs that leave you feeling deprived. 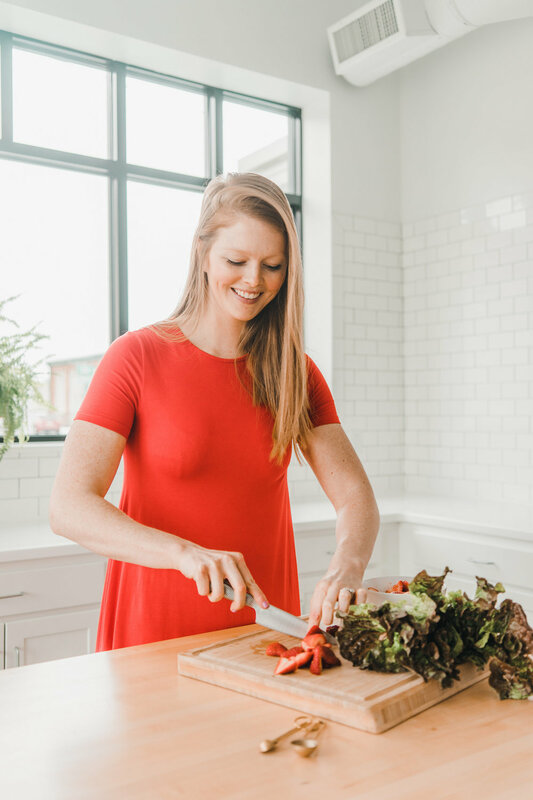 Nutrition with Nicole: Real-life application and education so you feel 100% confident eating for your goals no matter where life takes you - whether you’re on the road, at a business meeting, or running errands. Nutrition with Nicole is founded on no-nonsense nutrition you can use to fuel and feel good each and every day. Other Programs: Deprivation-based meal plans that only work for as long as you can adhere to them with 100% compliance. Nutrition with Nicole: Helping you gain confidence, lose body fat and find freedom in results that last! Other Programs: Low calorie deprivation-based diets that work for 30-60 days and leave you feeling more frustrated than before. If you’re an action taker who is serious about seeing amazing results that LAST, click on the button below to fill out an application. Once I review your application I will contact you to set up a discovery call using the information provided. If we decide that you’re a great fit during our call, you’ll be invited to join the exclusive Nutrition Coaching with Nicole squad.